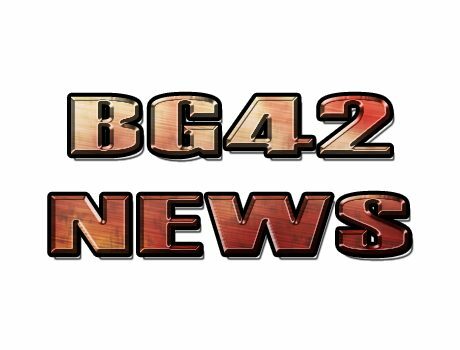 Home Website News BG42 website users – please read this carefully! i’m asking you to please read and understand the following informations. Sadly, it’s still necessary to point out a few things regarding the proper use of forums and website comments. 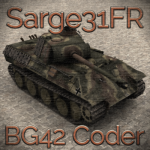 Ever since BattleGroup42 has been hosting its own website and forum, we had problems with fake/bot accounts and people don’t careing about reading and understanding already posted news. In order to save us from unnecessary work and possible legal repercussions, please read and accept the following! This server is hosted in Germany, run and maintained by German people, so please NEVER EVER post pictures or drawings clearly showing any kind of swastikas! If you want to post historical pictures for whatever reason, please make sure to blur out swastikas. Don’t post useless stuff, especially if it’s not mod related! Don’t post any kind of link to illegal or commercial websites! We will delete such links without further notice, and delete the user as well. We will not tolerate any kind of racism or the expression of religious and political views, no matter what. Read, understand and accept the news posted on this site. If a post reads “we will no longer accept suggestions or requests for new models etc.”, than it means exactly that. If you’re unsure about something, ASK FIRST. Please don’t break the rules. I’m really sorry that i had to spend time on this, but some people just never learn. To all our users that have been posting in the forum already, please don’t feel offended. Most of you guys have been fans for years, and we know that we can trust you. You’ve always followed the rules, and we don’t need to tell you anything. This post is solely targeted at everybody else, who wants to use this website and its forum! You can contact me on discord (Sarge31FR#5055) You can contact me on Wire (Sarge31FR). I'm no longer using ICQ because the devs deny the use of external programs like pidgin.